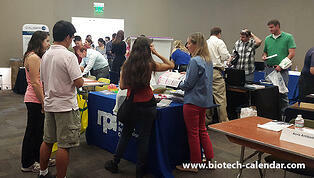 Exhibitors have opportunities to market lab equipment to researchers at the Austin BRPF™ Event. Why should you attend this Austin event? 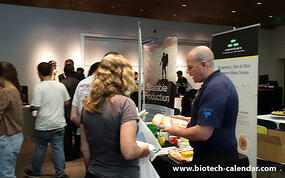 We provide the best opportunities to market lab products directly on campus at top, highly funded research institutions. Our events are highly publicized to the life science research labs at the universities, attracting relevant lab managers, principle investigators, researchers, and purchasing agents to our shows. Researchers know that our events are both informational and fun. Along with giving researchers the chance to find the best new lab equipment, they also receive a free lunch and have the chance to win door prizes. The University of Texas Austin, the largest institution in the University of Texas system, has more than 150 research units and includes facilities such as the Center for Nano and Molecular Science and Technology, as well as those serving the areas of Computational Engineering and Sciences, and the Department of Biomedical Engineering. UT Austin received $634 million in external research grants in 2013. In 2012 UT Austin received $73,512,000 in Life Science R&D Expenditures. The Seton Healthcare Family is building a $295 million teaching hospital on the UT Austin campus that will be called the Seton Medical Center at The University of Texas and will be located across the street from the Dell Medical School. The Dell Medical School will welcome its first class of students in July 2016 and the hospital will begin operations in 2017. UT Austin is part of a $17 million collaboration to study and combat traumatic brain injuries. $12 million was awarded to the UT Austin by the US Department of Energy to curtail Greenhouse gas emissions. 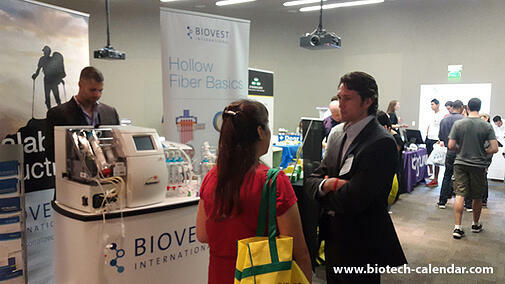 Researchers actively seek new lab products at the 2014 event in Austin, Texas. At last years event, a total of 196 researchers attended. 39 were professors, post docs and purchasing agents and 23 were lab managers. The balance were research associates and postgraduate students. Attendees came from 13 on-campus buildings and 19 different academic departments. "I absolutely loved this vendor show! There were awesome reps and great products. I had an awesome time!" "It is a great way of bringing intimate groups of like-minded people together for progress in the field of Bio-Tech. I highly recommend it!" One science supply company with a $70,000 product reported 4 solid, quality leads. If all 4 leads purchase this product, that is a total of $280,000! Another company had 20 quality leads on a $400 product that is usually purchased 12 times a year. There is a potential of $96,000! The upcoming January 27th, 2015 event will be the 5th annual BioResearch Product Faire™ Event at the University of Texas, Austin. This is one vendor show you don't want to miss! Visit the link below to learn more about exhibiting at the Austin event and to register while there is still space!